PARKLAND, Fla. — A 15-year-old Parkland student who was shot five times on Feb. 14 while placing his body against the classroom door to prevent shooter Nikolas Cruz from entering has now gone home from the hospital—being the last of the 17 injured to do so. Anthony Borges suffered gunshot wounds to the lungs, abdomen and legs, and had to undergo nine surgeries, including one to remove one-third of his lung. One bullet came close to his liver. “I [thought] I was going to die,” he told NBC News this week while recovering at home. 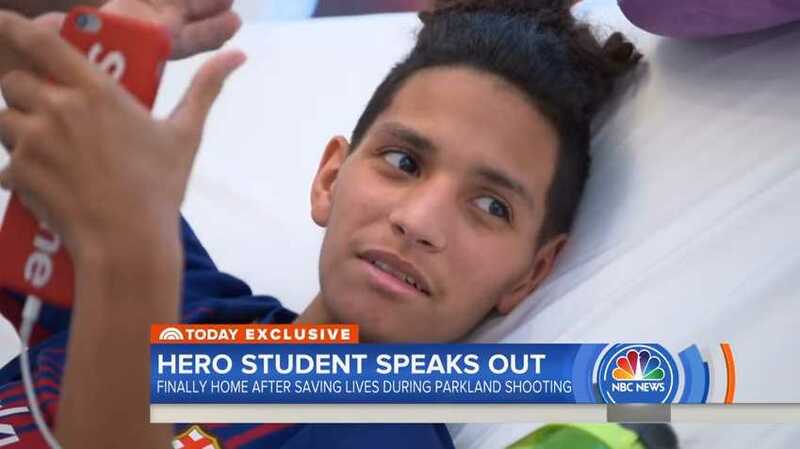 Borges is being hailed a hero for saving 20 classmates in the room that day by acting as a human shield and taking the bullets for his peers. He has received supportive mail from across the country, and a GoFundMe page for Borges has raised over $840,000 as of press time. Medical expenses are expected to top $1 million. Doctors say the road to restoration will be long, but Borges should make a full recovery. Borges is simply thankful to be alive, being released from the hospital on Wednesday. However, the teen says that he is deeply concerned about what he sees as the failure of school officials and the Broward County Sheriff’s Department to adequately protect students. Borges and his family plan to file a lawsuit over the matter, and have already filed a notice of intent through Arreaza. “The failure of Broward County Public Schools, and of the Principal and School Resource Officer to adequately protect students, and in particular our client, from life-threatening harm were unreasonable, callous and negligent,” the notice reads. As previously reported, Howard Finkelstein, the public defender representing Nikolas Cruz, says that he has been disturbed by the “piles of letters” that have poured in for Cruz, especially love letters or extensions of friendship from young teenage girls. Finkelstein says that he will not read such letters to Cruz, but only the few that have written to urge the 19-year-old to turn to God. Cruz has requested a Bible, according to jail documents, but has not yet been provided with one as he is in isolation on suicide watch. “Let us remember … that every part of the world bears testimony to the fact that sin is the universal disease of all mankind. Search the globe from east to west and from pole to pole, search every nation in every climate in the four quarters of the earth, search every rank and class in our own country from the highest to the lowest, and under every circumstance and condition, the report will always be the same.